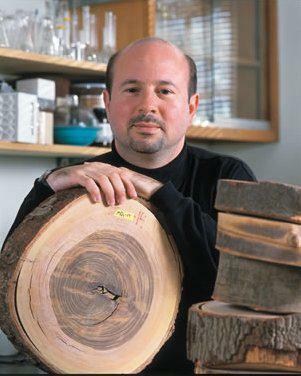 Michael Mann: Climate scientist talks about the attack against him. Dr. Michael Mann and the rings of truth. Dr. Michael Mann is a climate scientist of some repute: He has been researching our planet’s climate for nearly 25 years, and was one of the co-authors of the paper that presented the world with the famed “hockey stick diagram”, showing unprecedented and rapid warming of our Earth over the past century or so. This has made him a primary target of a vast amount of vitriol and attacks by climate change deniers, from the Attorney General of Virginia (and Republican nominee for Governor) Ken Cuccinelli, to a not-so-small cohort of far-right Congresscritters. He was a central figure in the ridiculous “climategate” nontroversy (or what I like to also call a manufactroversy), and has generally suffered the slings and arrows of a legion of reality-deniers. In June 2013, Mann attended the Chapman Conference, a small, focused meeting put together by the American Geophysical Union, a premier group of professional scientists in the United States. The June conference was titled, “Communicating Climate Science: A Historic Look to the Future”, and Mann gave a talk about the attacks he has endured. It’s only 20 minutes long, and summarizes the current situation engagingly and enragingly. The “engaging” part is obvious; Mann has allowed himself to have some fun with this, and I approve of that. Most of these attacks are so over-the-top and transparent that making fun of them is deserved. But the “enraging” part is still there—that duly-elected public officials would waste so much time, effort, and tax dollars on witch hunts like these is galling, amplified even more so by the import and stakes involved. If this were a real controversy I would enthusiastically support investigations; but the evidence is in, and it’s clear these attacks are without merit and just politically driven. Mann has written a book about his trials and tribulations, called, “The Hockey Stick and the Climate Wars: Dispatches from the Front Lines.” It’s a great read, but I get so angry reading it that I can only take it in small chunks; my jaw hurts from being clenched so tightly. I’m glad he wrote it, though; the attacks on science truly are enraging, and that’s why I keep writing about them, too. They must stop. So watch the video, read Mann’s book, and keep yourself up-to-date on what the forces of antiscience are up to. As I have said, and clearly as I need to continue to say, they are fiddling while the world burns. 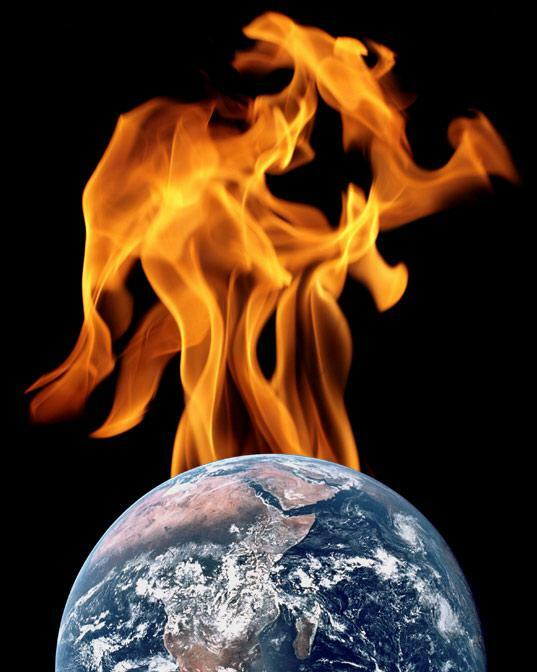 Fire photo by peasap; Earth photo by NASA; composite by Phil Plait.